How do you get more kids reading the Bible? 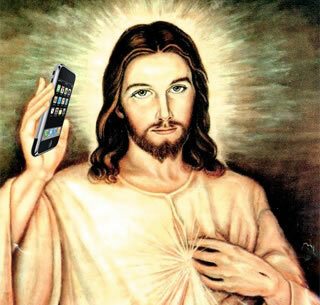 The so-called “Jesus Phone” of course! A company called YouVersion launched a mobile, interactive version of the Bible two years ago that got some attention when it won the people’s choice DemoPit award at TechCrunch50 in 2009. Today it runs on eight platforms, is in the top ten iTunes apps overall and has more than 12 million users across eight mobile platforms. It was bigger than Angry Birds at the time we shot the video below, and then Angry Birds had a great December. But hey, close to Angry Birds is still pretty good. Those users have logged some four billion minutes reading the Bible inside the app, and the engagement is growing. The Church behind it, LifeChurch, thinks its users will log one billion more reading minutes in January alone. Apparently, January is a good time for evangelicals for the same reason it’s good for gyms: People are reflecting on the year ahead and making all sorts of resolutions to be a better person. Maybe it can catch up with the Birds once again? YouVersion sees the mission as a spiritual not a money-making one. But given the uptake, there’s certainly an opportunity for someone to make money here.